This fascinating new documentary from American Movie director Chris Smith does several things at once: it is a portrait of two of the most inspired and original comic performers of the last half-century; an intimate, behind-the-scenes look at an actor's total immersion into an exceedingly challenging role; and a personal, heartfelt homage from one genius mischief-maker to another. Get ready to laugh. And squirm. 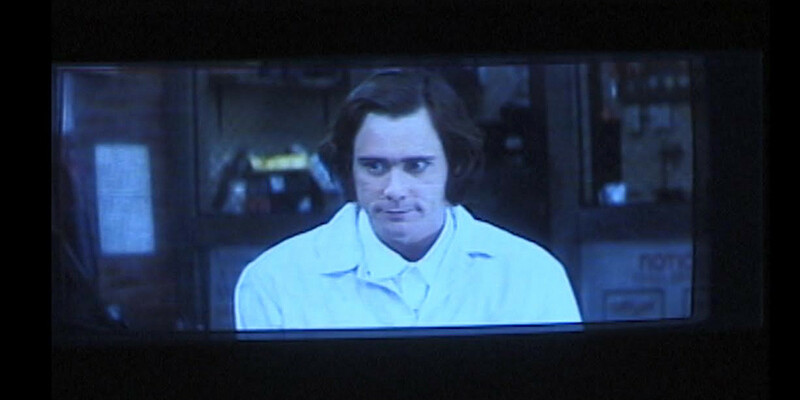 Seeing Andy Kaufman on television changed an adolescent Jim Carrey's life. Kaufman was a comic anarchist, a sometimes abrasive, sometimes disarmingly sweet performance artist who never showed his hand. He relentlessly pushed the envelope of popular entertainment, most notably in his campaign to wrestle women or as his obnoxious lounge-singer alter ego Tony Clifton. Kaufman felt like a kindred spirit to Carrey, and 15 years after Kaufman's death he would have the opportunity to play him in Milo� Forman's bio-pic Man on the Moon � a performance that won Carrey a Golden Globe. With a title Kaufman would have appreciated, Jim & Andy: the Great Beyond - the story of Jim Carrey & Andy Kaufman featuring a very special, contractually obligated mention of Tony Clifton is a seamless weave of archival performance clips, startling, previously unseen on-set footage from Man on the Moon, and what is perhaps the most candid and extensive interview Carrey has ever given. Smith grants us unprecedented access to Carrey's creative process, his philosophy, and his debt to Kaufman, whose legacy still has the power to enthrall, provoke, and unnerve.